Thinking About How To get a Loan To Fund Your Company’s Growth? Are you thinking about how to get a loan to fund your company’s growth? Or if you should even consider it? 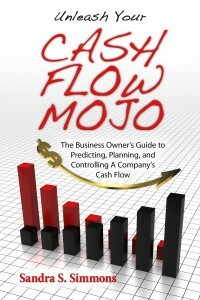 In a recent article, Sandra Simmons, President of Money Management Solutions, Inc. and a cash flow management expert widely known in the industry for her common sense advice to business owners, wrote an article about that very topic. Simmons shared some insights into what lenders will be looking at and what they will be looking for when they consider becoming the lender. Simmons goes on to state, that while you are researching and answering those questions, you’ll also want to give the lender whatever facts will substantiate the projection. The lender will want to know the increases in revenue will be sufficient to cover the new costs plus provide cash flow to cover debt repayment and interest. Growth tactics can backfire and cause the failure of the business, so thorough research is necessary. Lenders know that granting a business loan can make sense if the market potential is there to insure success and the assumed risk is minimized by collateralizing the loan. However, they also know that solid market research and disciplined cash flow management planning is vital to minimize the risk of default and to insure financial success. I like how you said, “Potential lenders always want assurance that they will be repaid”. That’s how it was with my student loans. I had to go through and sign a few things. However, it was a simple and straightforward process. What’s the average student loan amount? I don’t think student loans are what a business owner is trying to qualify for Johnson, do you?